Enlightened despotism, also called benevolent despotism, [is] a form of government in the 18th century in which absolute monarchs pursued legal, social, and educational reforms inspired by the Enlightenment. Among the most prominent enlightened despots were Frederick II (the Great), Peter I (the Great), Catherine II (the Great), Maria Theresa, Joseph II, and Leopold II. They typically instituted administrative reform, religious toleration, and economic development but did not propose reforms that would undermine their sovereignty or disrupt the social order. Among the despots named above, Frederick II (the Great), King of Prussia, is our most prominent figure. He belonged to the Hohenzollern dynasty. But we must step back to Peter I (the Great) (9 June 1662, Moscow – 8 February 1725, Saint Petersburg) who defeated the Swedish Empire, and Catherine II (the Great) (21 April 1729, Prussia – 6 November 1796, Russia) who did not allow a disastrous marriage to rob her of her “profession” as an aristocrat. Both Peter I and Catherine II were despots, but they expanded and developed Russia in every way. They are as Britannica defines enlightened despots. In this regard, both looked to Europe as a model and, in the case of Catherine II, mainly France. In the 18th century, French became the language of the Russian court and courtiers dressed as did Europeans. But soon Catherine dazzled Europe. Given Peter I the Great‘s passion for conquest, we need to see maps. For instance, Peter I, of the Romanov dynasty, who reigned jointly with his sick half-brother Ivan V, from 1689 to 1725, wanted a port to the north, but west of Arkhangelsk, a port that abutted on the Arctic Ocean. In 1703, he founded Saint Petersburg, located north of Moscow, on the Neva River. 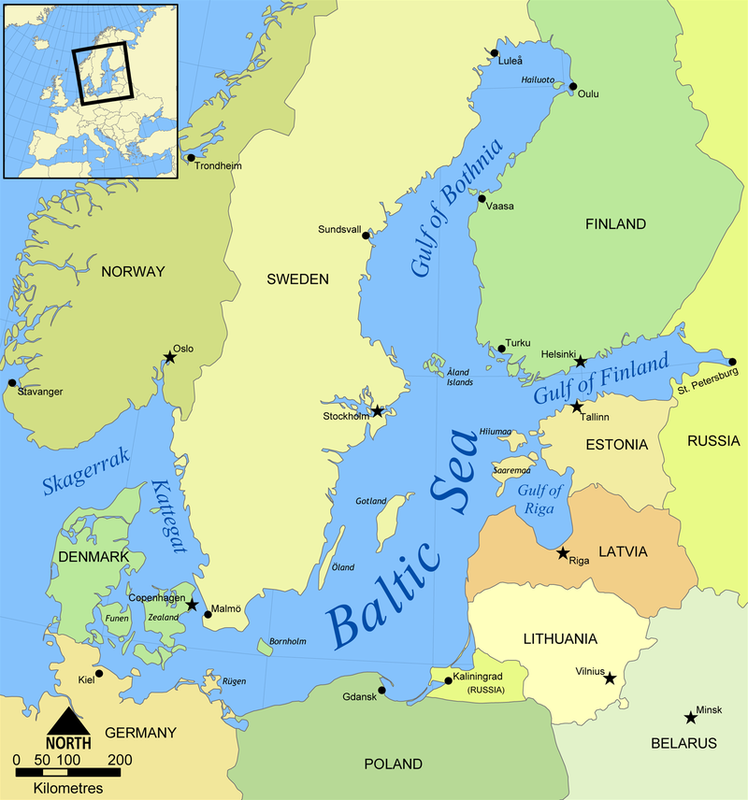 The Neva flows into the Gulf of Finland, thereby providing access to European countries and facilitating the westernization of Russia which, to a large extent, characterizes Russian enlightenment. 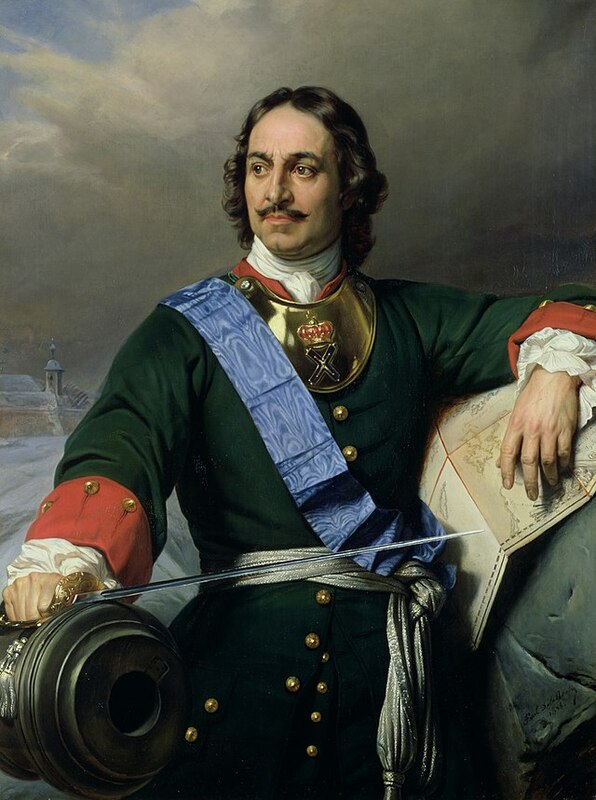 Peter I (the Great) was ordained Emperor of “all the Russias” after defeating the Swedish Empire, in 1721, three years after King Carl XII of Sweden was killed at the Siege of Fredriksten, in 1718. Peter I, the son of tsar Alexis of Russia, had been exiled from the Kremlin during the regency of his half-sister Sophia (1782 – 1789), by his half-brother Fyodor III (1676 – 1782). Contrary to his siblings, Peter was very healthy and played at war, organizing battles, with boys of lesser birth. (See Peter the Great, Britannica.) He also mingled with Moscow’s intellectually freer European citizens who “kindled” his interest in navigation and the mechanical arts. He shared his mother Natalya Kirillovna Naryshkina‘s progressive ideas. Peter founded the Russian Academy of Sciences in 1724. He was extremely neurotic, rebellious, obstinate, perhaps impotent, nearly alcoholic, and, most seriously, a fanatical worshipper of Frederick II of Prussia, the foe of the empress Elizabeth [Peter I’s successor]. Catherine therefore resolved to become Empress of Russia. She relinquished her name, Sophie, and learned Russian. By marriage, she belonged to the House of Romanov, the ruling house of Russia, but her mother was Princess Johanna Elisabeth of Holstein-Gottorp. Although Catherine had lovers before she became Empress, it seems that she bore Peter III at least one child, a Romanov, who would reign as Paul I of Russia (1796 – 1801). Would that Catherine II had abolished serfdom. She planned to do so, but didn’t. Catherine owned serfs and gave serfs to former lovers. But it should be noted that during most, nearly all, of Catherine the Great’s reign (1729 – 1796), slavery had not been abolished. Nor had serfdom been repressed in France and other European countries. (See History of Serfdom, Wiki2.org.) Scandinavian countries were an exception. They had no serfs, but several European monarchs profited from the slave-trade. In Russia, serfdom was abolished in 1861, under Tsar Alexander II (29 April 1818 – 13 March 1881). Catherine did not frame a constitution, but Catherine’s Instruction could be considered a draft of this constitution, or its white paper. Catherine admired Montesquieu and Rousseau. As we have seen, she bought Denis Diderot‘s library, making him its custodian for the rest of his life. Moreover, she and Voltaire shared letters. Despots, however, fear the people they control, and their fear leads them to control even more. After the terror Yemelyan Pugachov‘s Cossack troops inspired in 1774, Catherine was afraid. Catherine now realized that for her the people were more to be feared than pitied, and that, rather than freeing them, she must tighten their bonds. But Catherine was born, rather than elected, to privilege. Despots they were. But Peter the Great and Catherine II (the Great), Peter in particular, enlarged Russia considerably, as the third map above indicates (See Digital Collection). They also organized Russia. Catherine II created several towns and promoted intellectual and cultural growth. As noted above, Peter’s model had been Europe, but France was Catherine’s chief model. However, the execution, by guillotine, of French King Louis XVI dampened Catherine’s admiration for France. Louis XVI was a fellow aristocrat by profession, as Catherine saw aristocrats. She was then approaching her own sudden death. France and Europe may have been Peter I and Catherine II’s models. But our two enlightened despots’ leadership may also be considered a model.